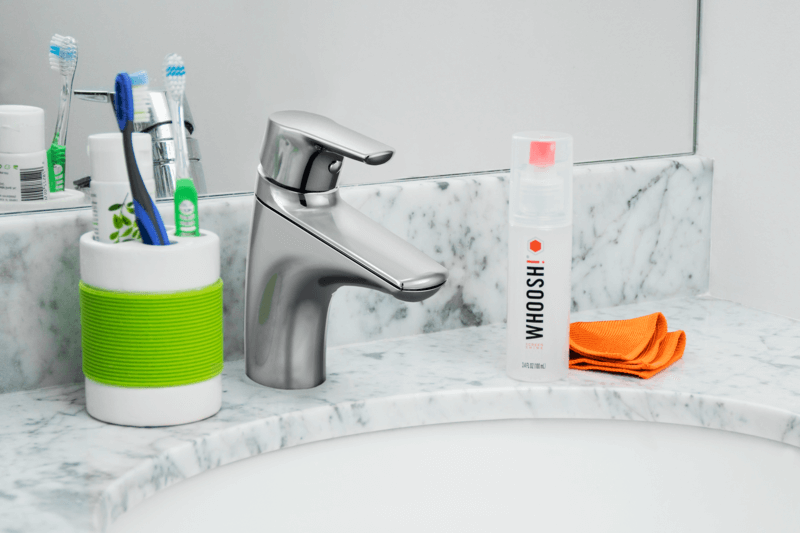 Pedestal Boosts Organic Search Traffic and Sales For Tech Hygiene Crusader WHOOSH! WHOOSH! was looking to upgrade its website’s Organic Search presence to reach consumers searching for tech-hygiene advice and solutions online. They realized the value of being highly ranked for relevant search terms and partnered with Pedestal to drive traffic to their website and blog. Increase traffic and rankings for WHOOSH!’s website in Organic Search. Increase the revenue generated on-site directly through the Organic Search channel. Boost WHOOSH!’s credibility through an enhanced online presence to increase product sales at other retailers. Did you know your phone is 10x dirtier than a public toilet seat? WHOOSH! is a B2C brand with a line of tech hygiene solutions to help fight the scourge of germs on your electronic screens. WHOOSH!’s screen cleaning formula was created by accident, but their success was not. WHOOSH! quickly became the hottest screen cleaning product for techies across America after winning Most Innovative Product of CES 2014 and many other awards. Pedestal’s strategy kicked off with an SEO Audit and thorough Keyword Research to identify ranking opportunities in Organic Search. Stage two included the setup of our proprietary tracking and reporting tools to enhance and accurately monitor the performance of Pedestal’s strategies. Our main strategy focused on writing regular SEO-driven content tailored for WHOOSH!’s blog. Our content is then optimized using our LIFT SEO system for specific keywords related to online searches by WHOOSH!’s target market. Our intimate knowledge of SEO allows us to write content that is more likely to rank higher than their competitors on search engines like Google and Bing for the same terms. Rank was achieved in the first page of Google for core in-market keywords with +5,000 monthly searches. WHOOSH!’s blog became a growing driver of Organic Search traffic to WHOOSH!’s site with a 6-month Blog traffic increase of +2,600% YoY. Revenue generated via organic search activity increased +40% YoY. Organic Search optimization successfully introduced the brand to users that then converted through other retailers such as Staples and Amazon.